Stage eight complete and I put down a bit more power than of late. Felt a bit pants at the start but pretty quickly found myself putting down decent power (for me). 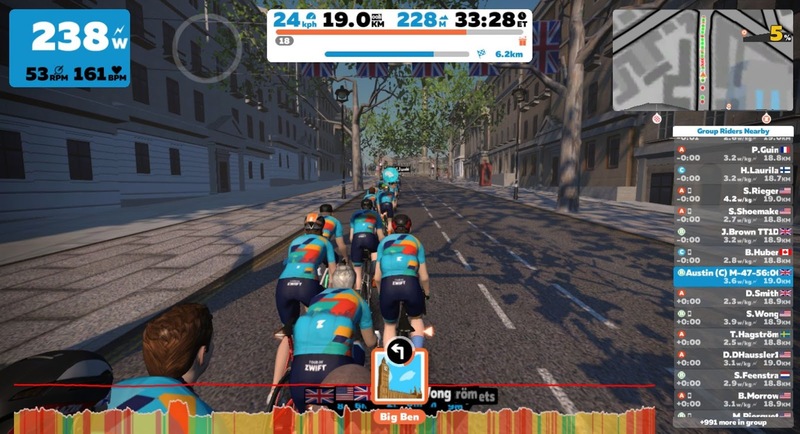 I think the London course helped as there are a few bumps on the flat section and I seem to find it easier to grind the power when ascending and struggle a bit on the flat as my legs won't fast enough! Grinding up Box Hill twice also helped... Enjoyed it. 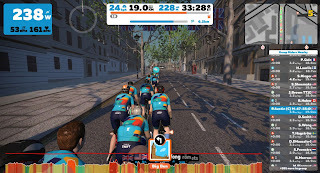 Just stage nine of the Tour de Zwift to ride - and those two pesky stages I missed, which will be Saturday and Sunday next week. But before that, up tomorrow, I'm going to stay local and run my Longhope One and a Half Peaks loop, 9km and circa 300m ascent.